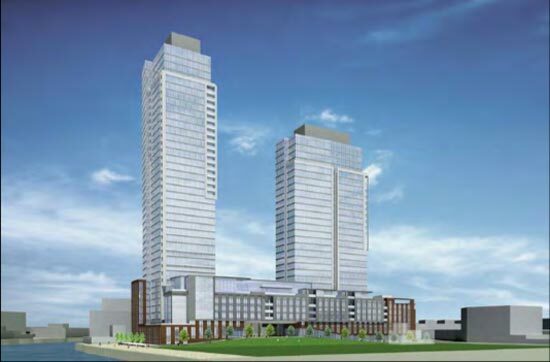 A week or so ago we published an article titled The Conspiracy Against The People Opposed To Greenpoint Landing, after the painful and last public meeting about the high rise towers inevitably to rise on Greenpoint’s waterfront. That evening while sipping on a beer at Brouwerij Lane, a call with a NJ area code appeared on my phone. It was Stephen Levin and he was pretty insulted by our decision to run that post. I stood outside in the cold while he explained to me (in many words) what I have invited him to share with you. Ok, here we are. This is your last shot. I’m not playin’. Either are the developers who will soon turn Greenpoint into a Disneyfied vision of Brooklyn. The last of the public meetings will take place Thursday, December 5th, 2013 and this is your last chance to do something. If you can’t make it – here is a sample letter – to send to council members. Anyone familiar with the politics of New York knows most of these politicians are flags flapping in the wind. Where the wind blows is the direction they point in. If you all become the wind and let them know how you feel, you may be able to get the city council to vote against this project. Become a collective hurricane! Go to the meetings. Voice your opinions, and let it be known that you are not feeling this. Greenpoint Landing “One Gigantic Brownfield Site”: If You Care About Greenpoint – Sign This Petition Now! New York City is a place where change is inevitable, and where change comes, real estate development follows. It would not be the place it is without it. However the political climate during the Bloomberg era hasput this into hyper drive. I ran into my old friend Kim Masson, who is part of Save Greenpoint, a group that is spearheading the opposition to Greenpoint Landing. Their issues with the development are not just the obvious ones most people are aware of. This is not just about being opposed to new massive buildings that will drive up rents and change the face of the neighborhood. The implications here are far more drastic. 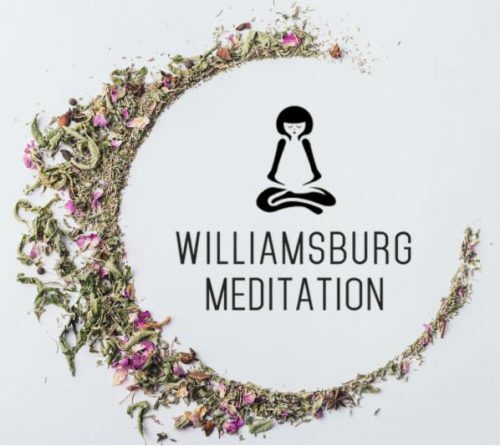 Greenpoint is a neighborhood that has already dealt with one of the largest oil spills in the history of oil spills, and countless environmental mini disasters. I want people to be more aware of this situation so I decided to interview Kim so she can break this all down. 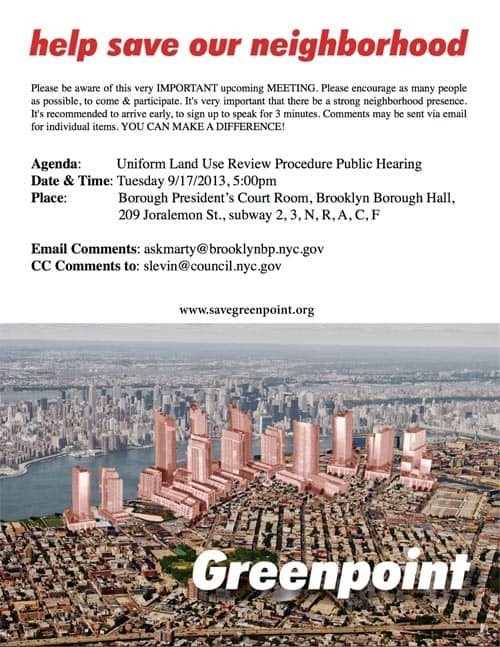 Tomorrow – Tuesday 9/17/13 at 5pm at Borough President’s Courtroom (209 Joralemon St) there will be a Brooklyn Borough President ULURP Public Hearing on Greenpoint Landing & 77 Commercial. If you can’t make it to the meeting, e-mail your opinions, comments and questions to AskMarty (at) brooklynbp.nyc.gov. Feel free to comment here and we will send an email in the morning and include all comments. 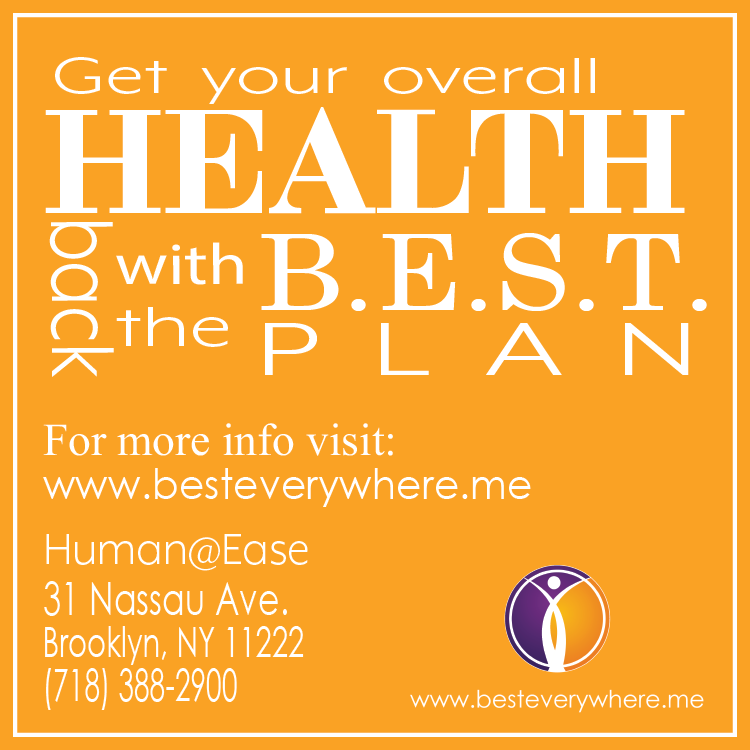 Include your name (first and last initial) and cross streets. Tonight – August 20, 2013 at 6:30 PM there will be a Public Hearing on the 77 Commercial Street Project and an Informational Presentation on Newtown Barge and Box Street Parks at Automotive High School (50 Bedford Ave). Like Greenpoint Landing, 77 Commercial St has also begun its ULURP process. (WTF is ULURP?) Approval of the proposal will mean 30-40 story towers in exchange for a park and affordable housing. 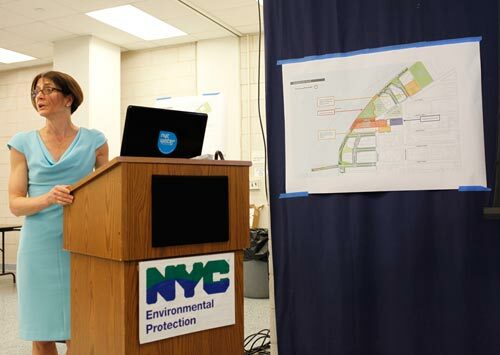 Aside from the impact on the character of the neighborhood as well as issues with infrastructure and transportation, the environmental issues at this site and the risk to public health are of great concern. According to the convoluted and endless Environmental Assessment Statement issued on 8/1/13, the 77 Commercial St site is “currently or was historically a manufacturing area that involved hazardous materials” … “a site where there is reason to suspect the presence of hazardous materials, contamination, illegal dumping or fill or fill material of unknown origin.” When is the open house?! Based on the findings in this statement, a detailed analysis of air quality, noise and hazardous material in respect to public health needs to be conducted. If you can get a word in edgewise this evening, it’s very important that questions with respect to these vital issues are addressed. On Thursday June, 27th, 2013 GWAPP and NAGG organized a public meeting in response to the public meeting at McCarren Park that took place on May 5th, in which residents were shocked and offended by presentations made by representatives of Greenpoint Landing and 77 Commercial St and unclear on the ULURP process. 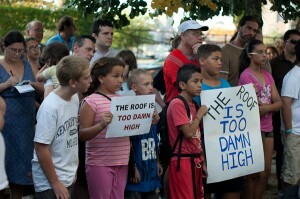 Despite this, concerns about the 2005 rezoning where on the minds of residents. Instead the meeting was to discuss what is “as of right,” meaning what can be built based on the current zoning and how we can articulate what we want in the ULURP process as a “coherent voice,” with respect to the 77 Commercial St and Greenpoint Landing projects. 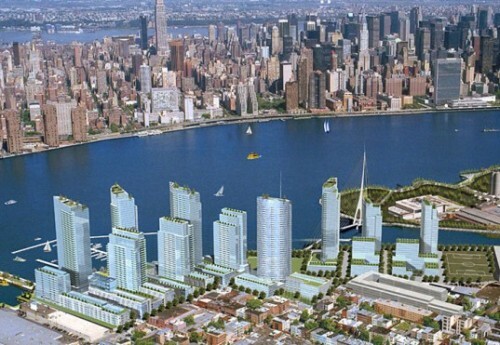 Many readers have been very concerned about the proposed Greenpoint Landing development on the waterfront. But you can’t just worry about it now – then complain about it later. 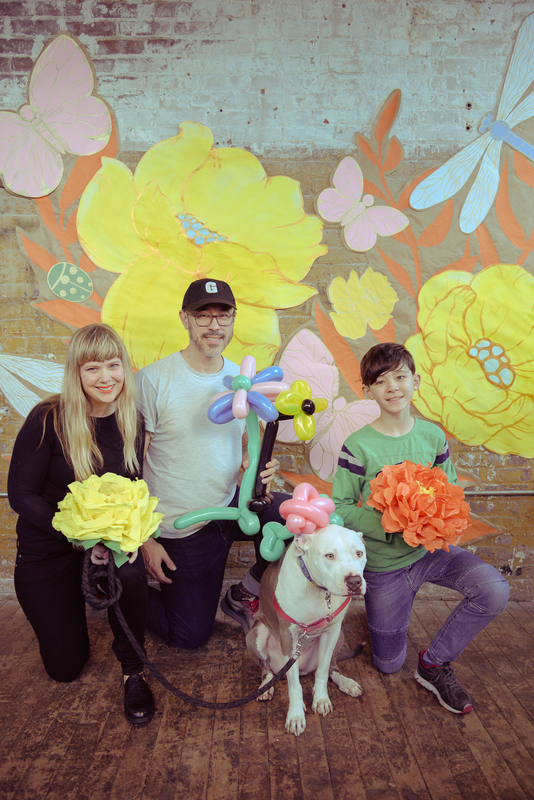 As Greenpointers, this is our neighborhood and we have to take responsibility for the vision and future plan of what Greenpoint can and will become. Are you like a lot of people wondering what ULURP means? It stands for Uniform Land Use Review Procedure, which is a standardized procedure whereby applications affecting the land use of the city would be publicly reviewed. In a nutshell, if you’re building something in the city, it needs to go through ULURP for public review and approval. 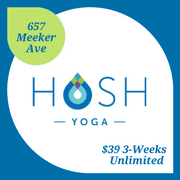 As a community, we will discuss what is “as-of-right” (per the 2005 Waterfront Rezoning) and what is still negotiable as these two developments approach certification and “ULURP” approval. This is an opportunity to share ideas about what’s at stake, what we might gain in the ULURP process and how to prioritize our negotiating position. 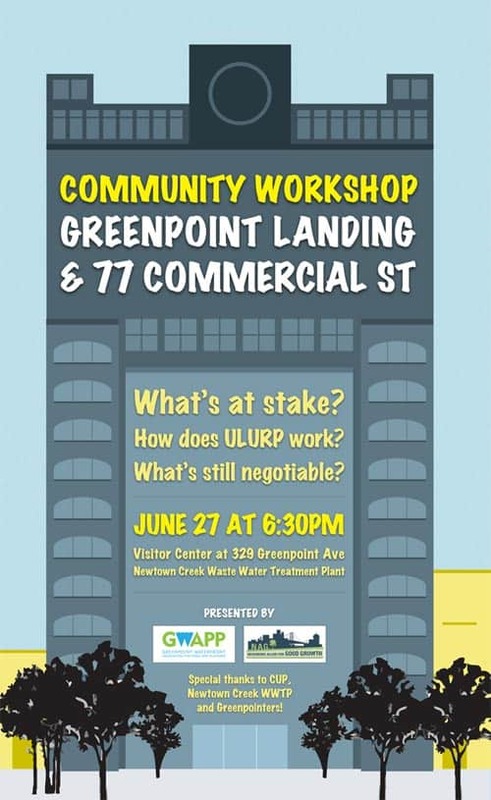 Representatives from Greenpoint Landing will be making a brief presentation to familiarize everyone with the aspects of the project coming up for ULURP approval. The Center for Urban Pedagogy will be leading a workshop on how the ULURP process works. Take advantage of this chance to get expert insight into the civic mechanism that is, typically, the last opportunity for the community to have input on impending development. Special thanks to CUP and Greenpointers.